Home › Events › Surface Tension by Ken Gonzales-Day: Murals, Signs, and Mark-Making in LA. “Danny,” mural by Levi Ponce, Van Nuys Blvd., Pacoima, 2016. “Surface Tension” is an original exhibition about murals, signs, and mark-making in Los Angeles. 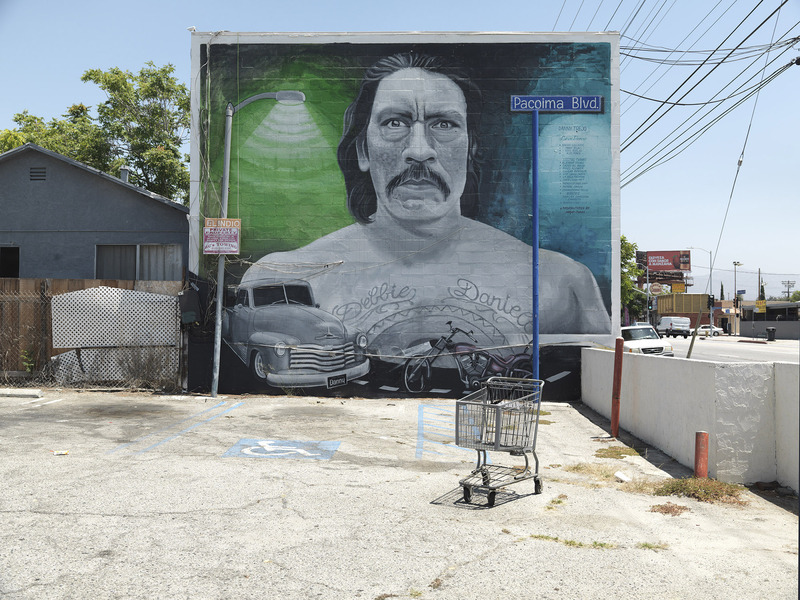 The Skirball commissioned Los Angeles-based artist Ken Gonzales-Day to create an original body of photographs examining the mural landscape of the city from East LA to Venice Beach, from Pacoima to South LA. What do our walls reveal about the many different communities that live here? Through murals, the city remembers its official history and its values. Local communities honor their heritage by telling their own stories with their own voices. Residents pay homage to their idols and heroes. Graffiti writers declare their presence. Activists decry injustice and envision better worlds. Shopkeepers lure customers with hand-painted advertisements of their wares. Artists flock from around the globe to make their mark on rapidly changing areas. This exhibition features over 100 original photographs by Ken Gonzales-Day that reflect a record of Los Angeles’ unique visual identity and the diversity of its population and artistic production in the present moment. Through this project, Gonzales-Day asks: What is a mural? Who gets to speak, and who gets to decide what counts as art?